AuthorRoger Pickenpaugh was a teacher at Shenandoah Middle School in Sarahsville, Ohio, for thirty years before retiring. His books have focused mainly on outstanding Ohio weather events and the Civil War, and in recent years he has devoted a great amount of study to the topic of Civil War prisons. Some of his works include Rescue by Rail: Troop Transfer and the Civil War in the West, 1863; Camp Chase and the Evolution of Union Prison Policy; and Captives in Gray: The Civil War Prisons of the Union, recipient of the 2010 James I. Robertson Jr. 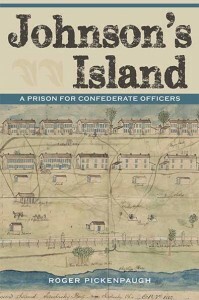 Literary Prize, sponsored by the Robert E. Lee Robert E. Lee Civil War Library and Research Center.